Kia’s outstanding quality speaks for itself or, should we say our drivers speak for us. J.D. Power’s 2017 Initial Quality Study is made up of the opinions of nearly 80,000 new-vehicle owners and we are proud of the fact that Kia ranks #1 in overall initial quality. The prestigious study has put Kia at the top of the list for its exceptional initial quality two years in a row. 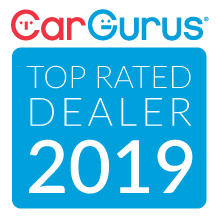 Kia received more model awards than any other nameplate and was highest ranked large car, compact car, small SUV, midsize SUV, and compact multi-purpose vehicle in initial quality. KIA Wins Highest ranking nameplate for the second straight year. 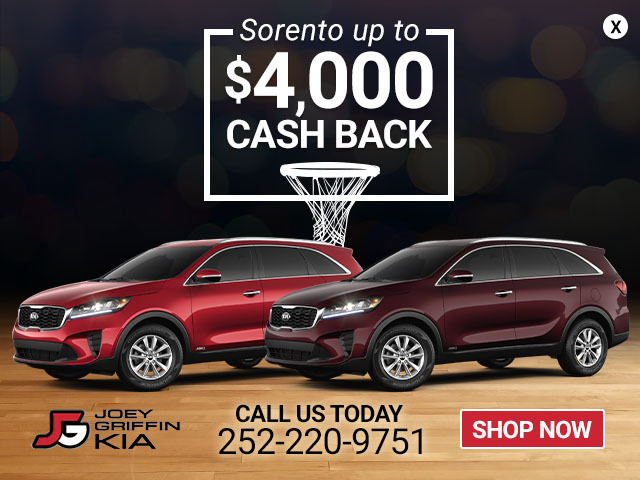 Kia claims the #1 spot in J.D. Power’s 2017 Initial Quality Study for the second year in a row. Kia ranks highest among the entire auto industry. Kia’s commitment to continuous growth is reflected in our best ever quality score, a significant improvement over past years. 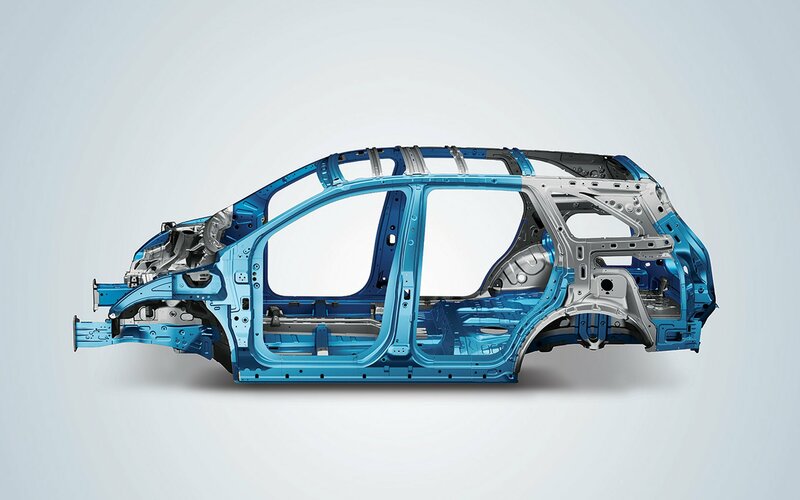 Kia designers leave no details to chance and Kia engineers fine-tune every aspect of a vehicle. From the factory workers who meticulously build the cars to customer-driven Kia dealers who ensure consumers find the perfect car, everyone at Kia is committed to maximizing owner satisfaction. 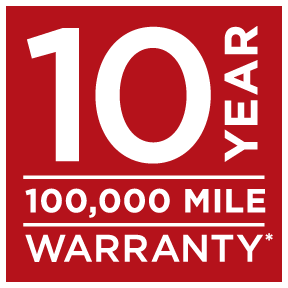 The confidence in the quality and durability of every new Kia is directly reflected in our industry-leading Kia 10-year or 100,000-mile warranty program. See the full details on Kia’s 10-year/100,000-mile warranty program. The engine is the heart of every vehicle and Kia engineers designed Kia vehicles to ensure a fun, high performing driving experience. 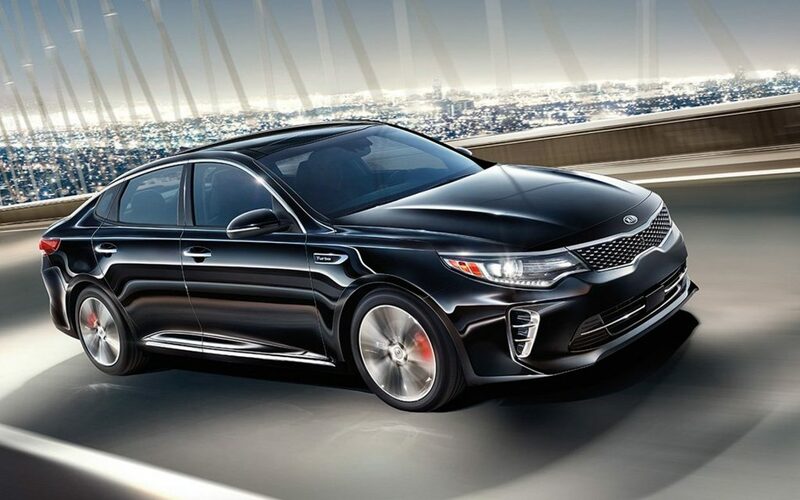 Gasoline Direct Injection (GDI) engines deliver more power and lower emissions, fuel-saving hybrid technology provides maximum performance flexibility and turbocharged engines offer impressive low-end torque, making every Kia an outstanding choice for hitting the road. KIA SAFETY. ENGINEERED TO BE STRONGER. When the unexpected happens, your safety is Kia’s number one priority with carefully designed passive and active safety systems. Our goal is to help drivers anticipate trouble and avoid incidents whenever possible. The automobile industry has taken notice, too. 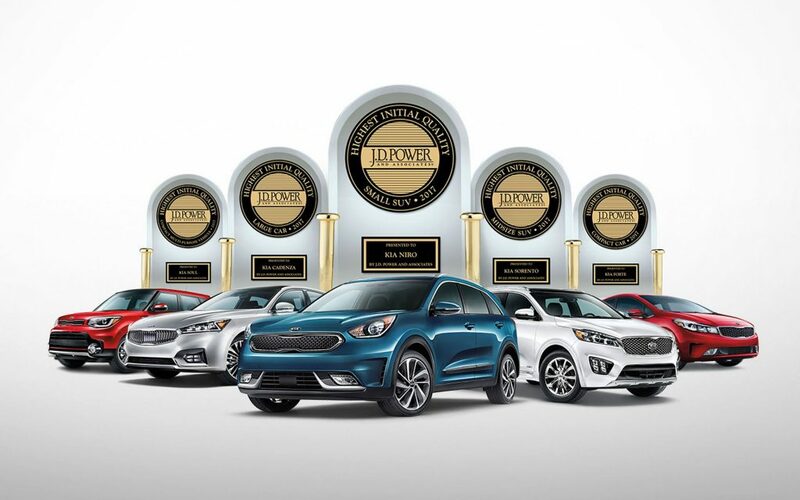 To learn more, visit the Kia awards page. BEING IN AMERICA MAKES US BETTER. When Kia made the move to manufacture our vehicles in the United States, we were confident of success. 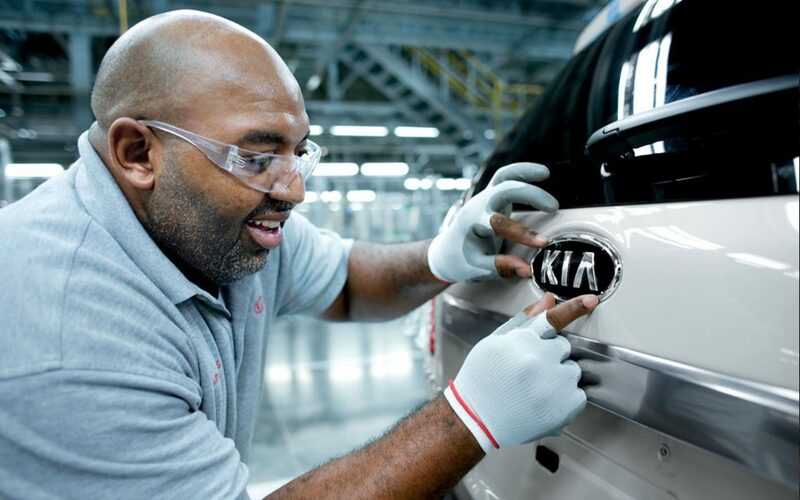 To meet a growing demand for Kia cars and SUVs, we wanted to better serve our customers, surrounding ourself with quality people was essential, like the quality of the people at our expansive Georgia facility. We’re building more than great cars in the U.S., we’re building great relationships with our employees and customers alike. Our Georgia plant operates three shifts and is responsible for the creation of more than 15,000 jobs (plant and suppliers). 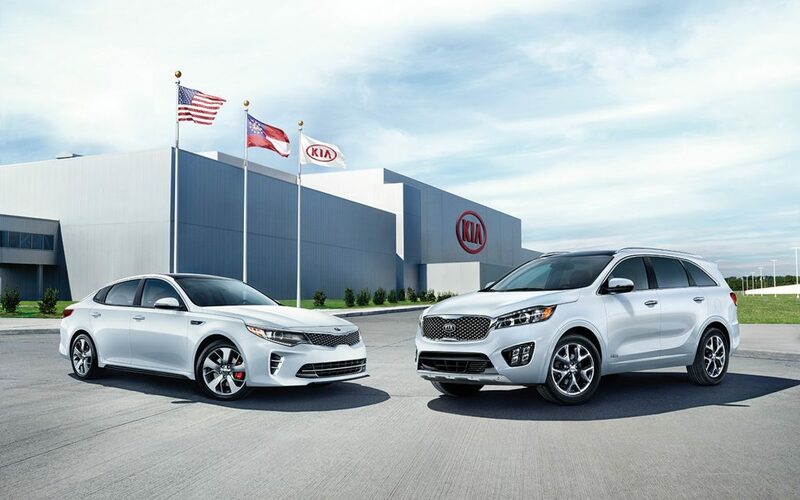 More than 40 percent of Kia’s vehicles, the Optima and Sorento, are built in the United States. Not only are we producing some of the most technologically advanced vehicles around, but we’re doing it the Kia Way—with our “one-system/one-team” approach that’s built on trust, mutual respect, and open communication among all team members.